The Allure sink tap is a designer tap of the highest quality for the luxurious bathroom, or for providing a luxurious accent to the bathroom. The tap has a high spout and is extremely practical to use. Washing your hairs can be done with great ease. Thanks to the quick installation system and flexible shower hoses, you can install the tap in a jiffy. 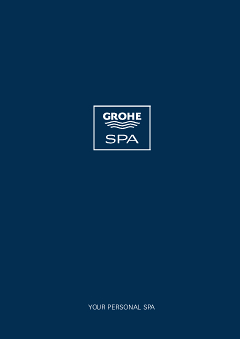 And once installed, you will not only experience it's eye-catching quality, which is enhanced by its GROHE StarLight coating, but also its ease of use. The up-waste is concealed nicely at the back and the handle features GROHE SilkMove technology, and can therefore be controlled smoothly and accurately. And thanks to GROHE EcoJoy you don't use as much water, but still have a perfect spray!